As the old city becomes the centre of day and night life, the somewhat forgotten-by-locals, Laiki Gitonia, is being revamped along with it. 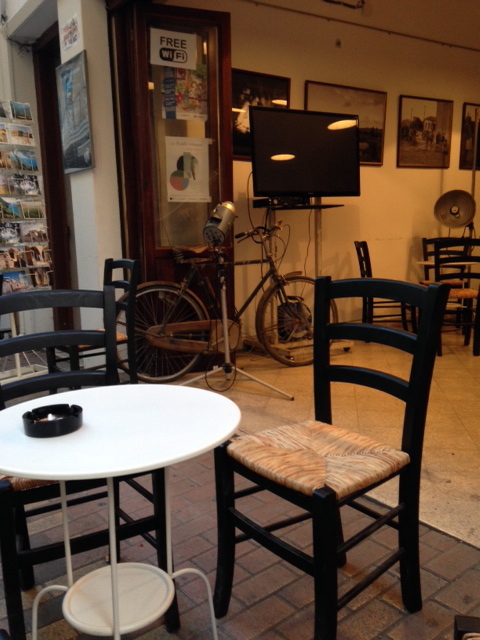 In addition to Fanous that has been alive for a few years now (THE place to go for a shisha) there have been a number of new opening/discoveries such as the Nicosia Tea Shop and Meres Argias, a little café/bar right on Ippokratous street. Last but not least, Fotografion, a picturesque café (or rather “kafenes”) again on Ippokratous street, part of the capital’s “new arrivals”, has alre ady been embraced by locals as well as old city lovers. As the name suggests, “Fotografion” has a strong “photography” theme with old pictures of Cyprus, with white, black and grey prevailing in the decor giving a strong “retro” feel to the place. Apart from local coffee, one can find refreshing drinks like rose milk, lemonade, fresh juice and local alcohol like “ouzo”, wine and “zivania”. 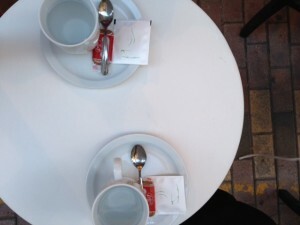 I would have liked to see local tea, rather than imported tea bags as it would fit in better with the traditional ambiance. As far as food is concerned, local cheese and meat platters are available for 4€-7€. Reasons to visit it? Firstly to get a chance to have a coffee amongst old city locals of all ages. Secondly, for people watching. Enjoying people walking through Laiki Gitonia, regardless of whether or not they are tourists, locals workers or people taking a walk is definitely worth it! New cafe, bar and restaurant arrivals worth mentioning!! Clay Pots Meze at a Special Price for a limited time!